A padlock on your site for added security ? Our initial reflex buying on the internet is to check, before making any transactions, the presence of the padlock that assures us that we are on a safe site. In practical terms what does this SSL certificate do for you? – This proves to your website visitors that all data passing between the browser and the server is encrypted. In other words, the information collected is secure and cannot be viewed by attackers. In addition, certain financial institutions will require such security to allow transactions. – The search engines like Google support SEO sites that use HTTPS. Google Chrome for example, decided to highlight the SHA-2 certificate at the expense of the old version SHA-1. Users of this browser will be notified directly via their address bar if they are surfing on a secure site. This consideration of SHA-2 leads to a better appreciation of these search engines to make your site more visible at the SERP level if they have this technology. – As a professional, it is important to ensure that you have a good business reputation. 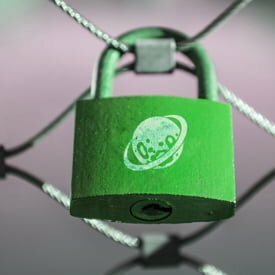 The presence of the padlock on your site attests to your future your customers or visitors that you are serious about their security and that you offer excellent service, especially in a competitive world. – This protection also helps ensure that you interact with the authenticated service and that you are not a victim of “man in the middle” attack. For all these reasons PlanetHoster has taken the initiative to develop a partnership with Symantec to give you the opportunity to acquire an SSL certificate prices. To order an SSL certificate and increase the SEO of your website. EDIT December 27, 2015: We now have Free SSL certificates SSL through Let’s Encrypt.